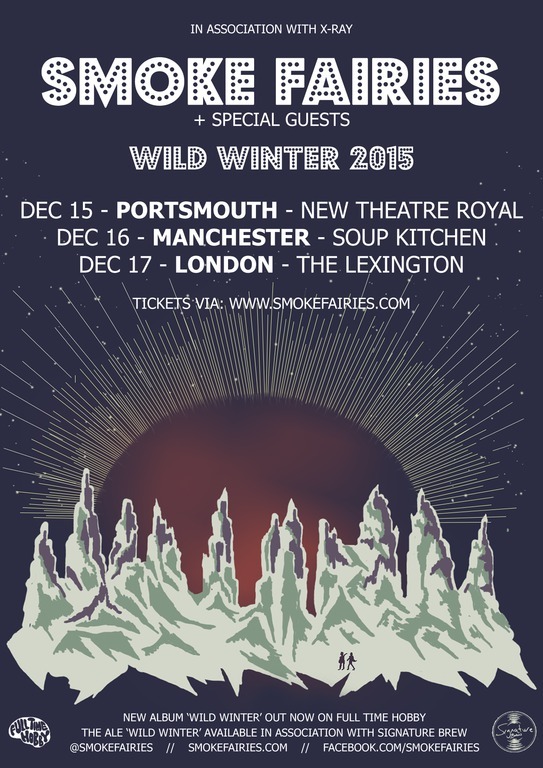 WILD WINTER WITH SMOKE FAIRIES. We have done and been a part of some amazing things over the years but this is the biggest thing by far. We are very excited to announce a little winter gathering. Working with the newly refurbished and beautiful Victorian NEW THEATRE ROYAL, we invite you to come and enjoy SMOKE FAIRIES with special guests on the eve of December 15th. This will be an all seated event., with refreshments to enjoy. Supports acts will be announced soon – look out for our posters around town. Ticket links below – see you there! Dec 15th New Theatre Royal Doors at 7:30pm. £10 with online booking fee. No booking fee if you purchase in person.